Why do people buy products from local businesses? Or why don’t they? What are the reasons that influence their decisions? These are questions many business owners wonder about and Facebook decided tofinally find some answers. Together with us, they conducted a study in eight markets in North America and Europe with over 10.000 participants. In the course of the study, we learned that there is a connection between a sense of community and local shopping, and that an online presence is beneficial for local businesses. 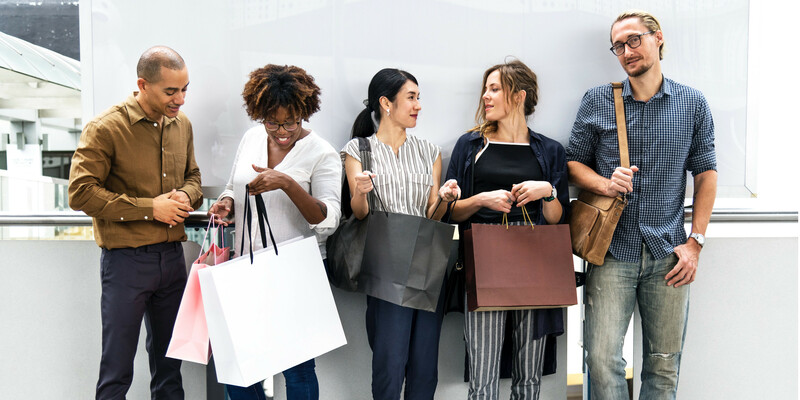 Additionally, we identified five different types of shoppers and their motivations and attitudes regarding local shopping. We assessed these according to participants interest in the neighborhood and their affinity towards social media. Local explorers want to know every corner of their environment and feel a deep connection towards their neighborhood. Their motivations include exclusive opportunities to learn more about their community and the chance to meet with friends or family while shopping locally. Often times, they are online influencers and recommend stores on Facebook or Instagram. Local traditionalists know a guy for everything, or rather a store. Be it the best cake or a great bicycle store, they will know where to find it. While they do know their neighborhood better than anyone else and primarily shop there they don’t connect with these businesses via social media as often as other shopper types. They are young, urban, well-educated and love to be in-the-know about their neighborhood. Because they feel connected to their area but like to live as comfortable as possible, they use social media to learn about local events. However, they still prefer shopping online. This group of shoppers is less interested in their local environment than other shopper types. Instead of visiting shops personally they appreciate the efficiency of online shopping. Mobile conformists are keen on using their smartphones for research and to shop. Our last group of shoppers only buy necessities, rarely visit restaurants or look for other entertainment. They prefer to shop at chain stores as they find it tobe more convenient and cheaper. They don’t really care about being connected to stores be it online or via social media. Gain more insights into the five segments here.